We don’t like to brag, but… Okay, LA, if you insist! LA Magazine recently released the first edition of their Top Doctors list, and can you guess which group has been awarded the most bragging rights? It’s UFAI! That’s right. The University Foot and Ankle Institute is the only foot and ankle medical group that can claim not one, but TWO doctors who made it onto the list. They are esteemed podiatrists Dr. Stephen Schwartz and Dr. Bob Baravarian. Please join us in congratulating these two physicians on this well-deserved honor, for making such a remarkable impact on the Southern California communities! The Top Doctors list is the first of its kind from Los Angeles Magazine, although lists like it are a “staple” for many other city magazines across the country. The data were compiled via a rigorous peer-to-peer survey, by specialty research firm Professional Research Services based out of Troy, Michigan. While these methods aren’t strictly scientific, they do give the list some hefty weight. The careers of the doctors on this list have been carefully reviewed and long-admired by other doctors in their respective fields, so patients know that they’re getting the cream of the proverbial crop. 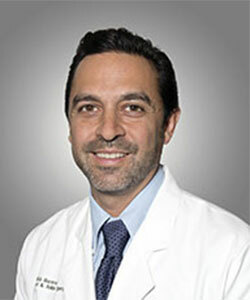 Dr. Baravarian can also be found jetting around the country training other surgeons in the use of the latest minimally-invasive techniques and surgical devices. 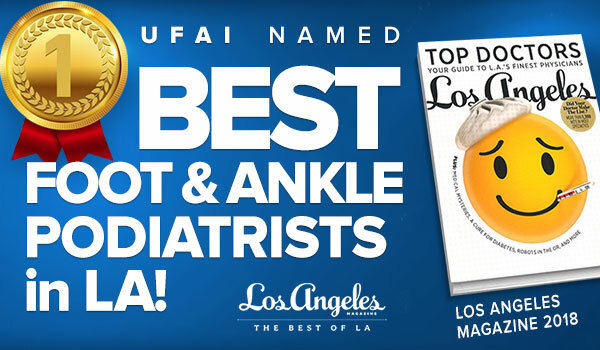 Dr. Stephen Schwartz is another distinguished UFAI podiatrist identified as one of LA Magazine’s Top Doctors. He is a board-certified foot and ankle surgeon, whose long career stands out for its dedication to underserved communities. He practices out of UFAI’s Mid-Wilshire location. 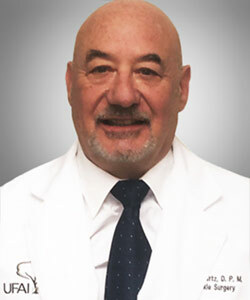 For over 30 years, Dr. Schwartz has been involved with Operation Footprint (formerly known as the Baja Crippled Children’s Project), which provides training to medical staff and surgical services to children born with clubfoot deformities, and now serves as co-director and Chief Surgeon Emeritus. But that’s not all… The University Foot and Ankle Institute was also recently awarded the Best Foot and Ankle Surgery Group in California, from Top Doctors! “This is a great honor for our group and shows that our entire group offers exceptional care for foot and ankle problems” said Dr. Gary Briskin, a co-director at the Institute. 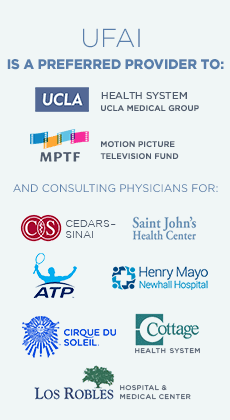 University Foot and Ankle Institute is the largest foot and ankle group in the greater Los Angeles area. With 10 doctors, 3 physical therapists, a surgical center, MRI, CT and diagnostic facilities, our 10 locations offer state-of-the-art care in your backyard. To make an appointment, please call (877) 736-6001 or visit www.footankleinstitute.com.